Meet This 36-Year-Old Waste-Warrior From Hyderabad Who Knows How To Cut Down On Garbage. 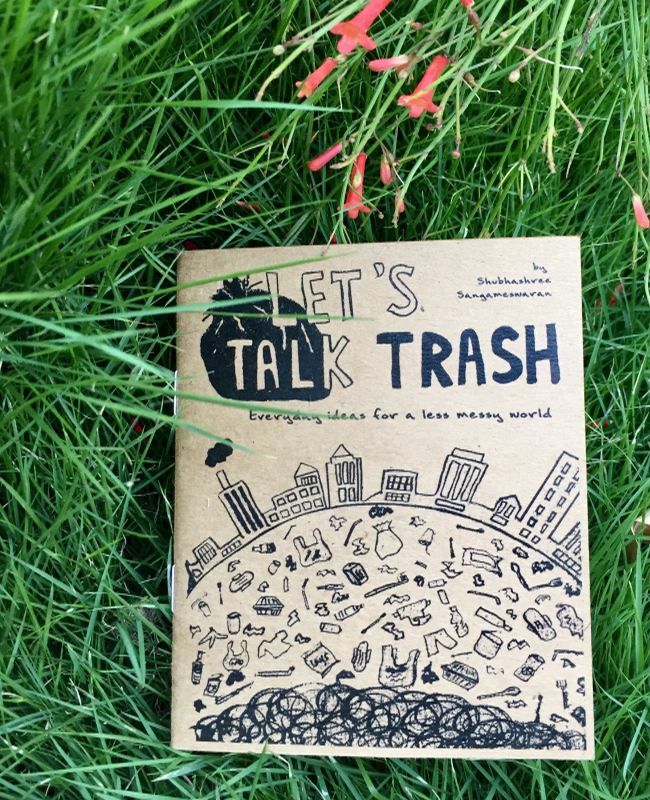 Shubhashree Sangameswaran from Hyderabad has compiled ways to cut down personal waste generation in her book titled ‘Let’s Talk Trash’. For Shubhashree Sangameswaran growing up in the 80s meant accompanying her father once every few months to the wholesale market to purchase grains and pulses in bulk for the house and returning in a hired tempo with all the groceries. As a child, Shubhashree would be excited every time she was given the task of carrying steel bottles to buy fresh milk and oil from the local kirana shops. Almost three decades later, even today her favourite household chore is to empty food items in steel or glass jars, some of which are as old as her. It was recently after watching a video showing the zero-waste activists Lauren Singer and Ben Jonson, I realised that consumerism is gradually killing our old habits of a sustainable lifestyle. The aspect of convenience has resulted in more personal waste generation. For example, a plastic bottle which takes years to decompose is discarded once it is used as one knows that there exists thousands of plastic bottles and one can buy them in any place, says Shubhashree. The triggering point for the IT professional was when she came across an opportunity of sketch writing, an art project by Brooklyn Art Library. It was in March this year when I had to submit an artwork and since we were given the liberty to choose our own themes, I thought of articulating waste management woes and bring it to the notice of people, says Shubhashree, who quit her well-paying job earlier this year to work on her series. The book titled ‘Let’s Talk Trash’ has been written in such a way that anyone can read and follow the steps mentioned. “People get intimidated when they hear of a zero-waste lifestyle. Often they give up the idea, thinking it will difficult for them to make an eco-friendly switch. Thus, I have included very simple methods that our previous generation followed without having to make a drastic change, she says. 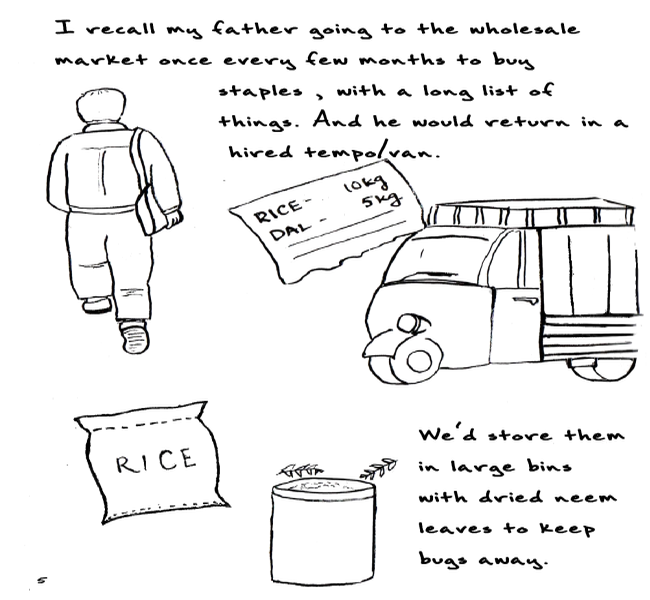 The book is divided into three parts – Life in 80s, stark facts about garbage crisis and things to do at different places (work, home, travel, etc) to reduce waste. In the first part she has given examples of her own household urging people to switch back to those old habits. Food waste is one of the issues she mentioned in the book. 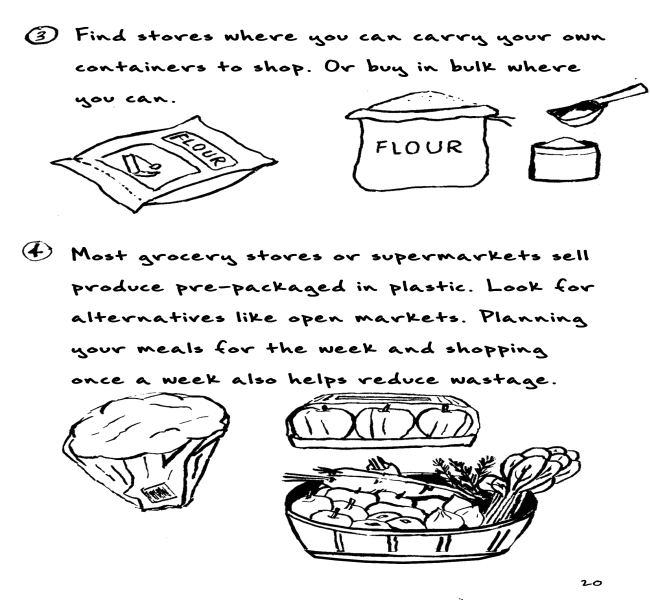 In the last section of the book, she has given alternatives and suggestions that one can adopt to reduce personal waste generation. From switching to bamboo toothbrush, eco-friendly sanitary napkins, reusable kitchen rag, steel or glass containers for storage to ditching plastic straws, bags and plastic bottles, several recommendations are given by Shubhashree. Considering that the culture of celebrations and parties is huge in a country like India, Shubhashree has even dedicated an entire page to ‘green celebrations’. Traditionally speaking, celebrations in South India have always been eco-friendly. Banana leaves are used instead of plastic plates to serve food. Steel cups and glasses have always been in fashion down south. But now less and less number of people use them, plastic cutleries are taking over. Even for decorations, plant leaves and flowers are used. We must learn and adapt these small little things that will bring a big difference in the future, she says. To ensure that people from every linguistic background can read it, Shubhashree hopes to translate the book into as many regional languages as possible. She also aims to spread the knowledge among children by approaching schools in Hyderabad. In an urbanised lifestyle where people feel the need to empty their household bins at least once in a day, Shubhashree’s household bin is emptied once in every few weeks, thanks to her traditional style of living. Previous Post: Two Childhood Friends Open A Zero Waste Store In Goa To Beat Plastic Pollution. Next Post: This 37-Year-Old Woman From Noida Brings Barter System Back: Solution To Deal With Excess Waste In Noida.